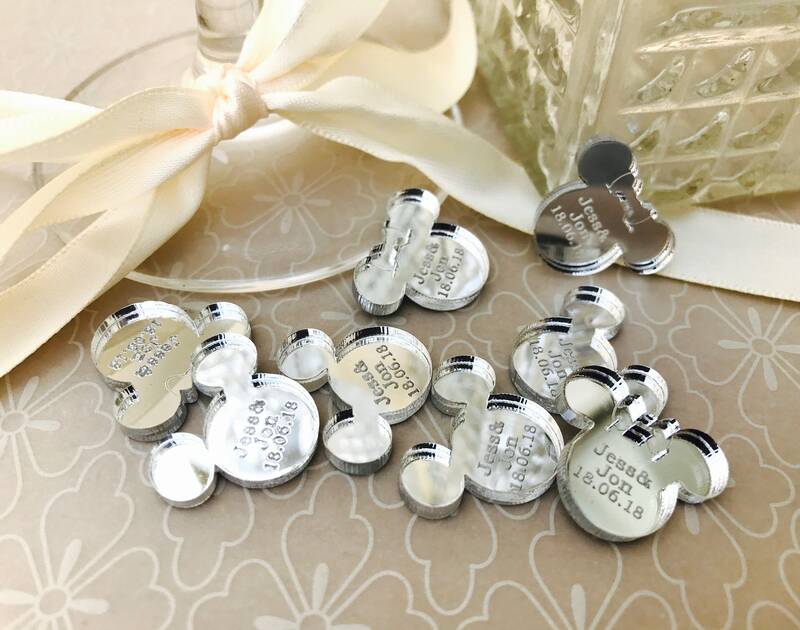 Beautiful Personalised Wedding Favours, Mr Mrs Table Confetti Decorations. Disney Mickey Minnie Mouse, Party Table Decor, laser cut table confetti. Cut from 3mm high quality silver mirror acrylic. Suitable for: weddings, anniversaries, birthdays etc. Personalised with engraved names & a 6 digit numerical date. Quantities are approximate. You may receive a few more or less. If you need an exact quantity, please order more than you require. as these are machine made, and slight variations in quantities will occur. PLEASE NOTE* SAMPLES ARE NOT PERSONALISEED - YOU WILL RECEIVE A GENERIC SAMPLE SET. 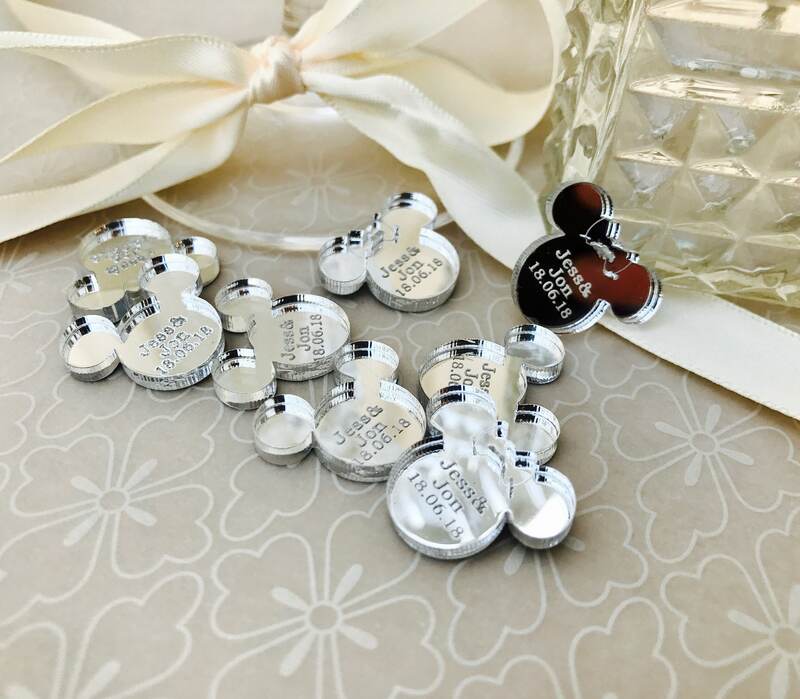 I got these personalised for my friend's hen do, they went perfectly with the Disney theme and looked effective. Very impressed! Love These!! They are going to be perfect table gifts for guests!! Absolutely perfect. We were so excited when we ordered these and we were definitely not let down! Can't wait to use these to add that extra special touch to our day. Thank you to the seller who was very prompt in answering questions and helping me to solve any problems. Extremely happy with my order. Excellent service and arrived as expected. Would highly recommend this to others. Lovely personal touch.